I’m not sure how many of you are there yet, but I’m wondering if I can get some feedback about your new amps? How warm does your amp get? Does it require good ventilation? I only have access to one outlet. Currently I have my JVC projector, Denon AVR, and Oppo BD player connected to a surge protector. Do you think adding an ADA-1000 would be too much for that one outlet? I have a Denon AVR-3808. Does anyone have one of these paired with an Axiom amp? If so, how well do they play with one another? I’m considering a 7 channel ADA-1000 to drive my 2 M60’s, VP160, 2 QS8’s and 2 M2’s. My HT room is about 2100 cubic feet. For normal listening conditions do you think this amp is overkill, or do you think the added headroom would be well worth the upgrade? I have a 3 channel 1000. In fact I just connected an energy meter to it yesterday to see what the power consumption is. I can pass some numbers along in a few days. if you look at my system (check the Gallery), it's all connected to the same 15 amp. circuit. i watch movies at Reference Level and do the same (realistic level) for music. total amp power: about 5200 Watts. total room size: about 2900 cu.ft. Result: i've never blown a fuse yet and i guess i would still have quite a ways to go before that would happen. and 99% of the time, only a small fraction of it is used. "For rooms under 2,500 cubic feet and normal sort of volume levels the 1000 series is perfect". personally, i consider Reference Level to be a "normal sort of volume". i would not worry. ENJOY!!! Unless you are planning to get a dedicated processor some day, I'd be tempted to just get a 3 channel amp for the L/C/R and let the 3808 continue to power the surrounds. But, I'm a cheap bugger. tom's suggestion makes a lot of sense. Bayne, I don't have Axiom amplifiers, but can certainly comment on the general "headroom" point. You didn't specify your listening distance, which is far more significant than home room volumes(which don't need to be "filled" with sound at the level needed at your listening position), but at a typical distance of about 10' your 3808 can drive your speakers to above safe(to your hearing)listening levels. Added headroom is meaningless unless it's actually used on occasion. Unused headroom is simply that: unused. John, my listening distance is 12 feet from the front wall and about 10.5 from the front of the speakers. The room is 19.5 feet long and 13.5 wide with typical 8 foot ceilings. You can see pictures of my theatre in the gallery section. I'm still debating on whether or not I even need an amp of any kind--that's why I'm looking for any advice I can get from you helpful folks. 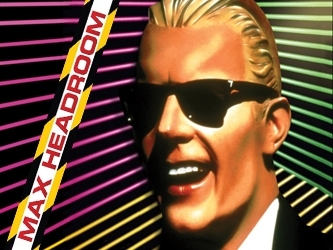 Unused headroom is simply that: unused. Yeah, but Reserve Headroom is exactly that: In Reserve! So far mine has only been mildly warm when I've felt it, but I haven't specifically tried to run it hard for a stretch of time and then feel it. I also have it on open shelving with plenty of clearance, so I can't say how hot it would get in an enclosed space. Basically, I'm no help, but I felt like I had to say something since I own Axiom amps.